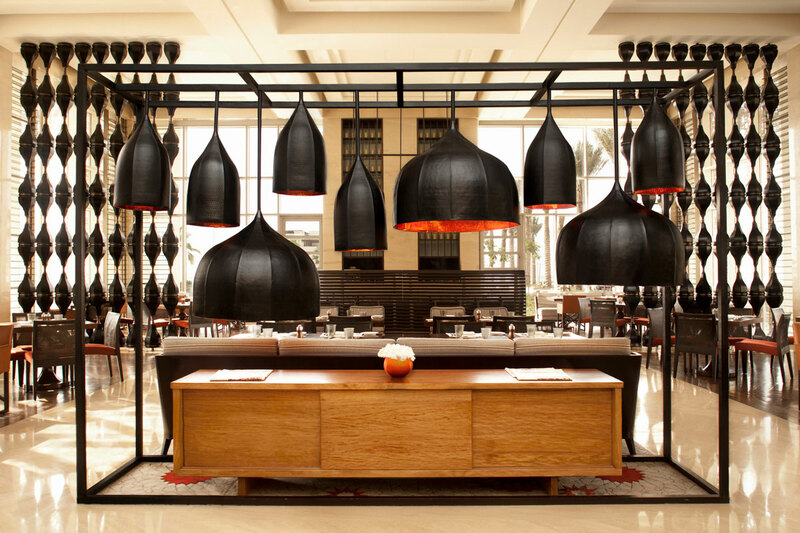 Park Hyatt Abu Dhabi Hotel and Villas was the first Hyatt hotel to be opened in Abu Dhabi, and over the years the resort has been the recipient of a host of prestigious awards and accolades. The hotel has been built as a low-rise building in order not to overpower the natural surroundings of the island. The design of the hotel links various natural elements (sand, wind, water, desert and sea) and connects them in such way that they complement the space. 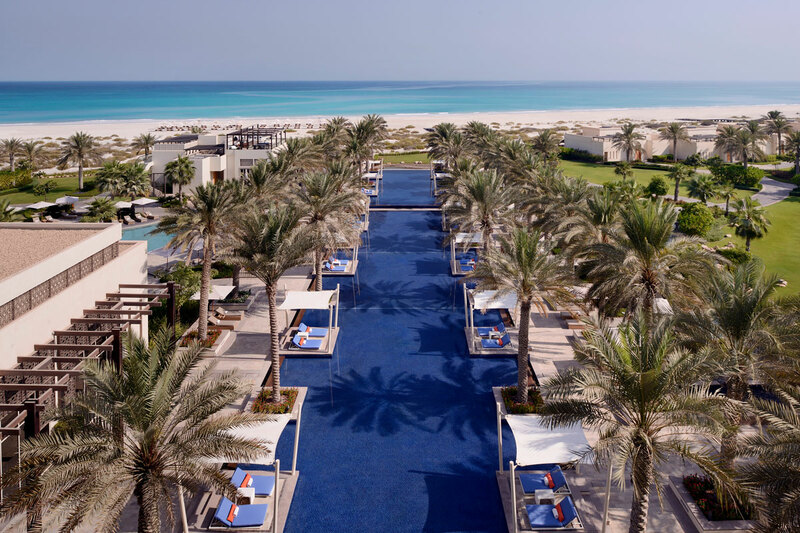 Park Hyatt Abu Dhabi Hotel and Villas is an exclusive sanctuary of contemporary luxury located on a environmentally protected, natural sand beach on Saadiyat Island. The resort is adjacent to Saadiyat Beach Golf Club, minutes from the city’s prime business district and the Abu Dhabi Corniche. Saadiyat Beach : Whether you would like to take a long walk by the beach, refresh in the turquoise waters of the Arabian Sea or maybe spot a rare hawksbill turtle or a bottlenose dolphin, unwind by the majestic and pristine stretch of natural beach on Saadiyat Island. A championship 18-hole golf course at the Saadiyat Beach Golf Club designed by Gary Player. In close proximity to Saadiyat Cultural District – allowing our guests to visit such upcoming iconic masterpieces as Louvre Abu Dhabi (opened November 2017), Zayed National Museum and Guggenheim Abu Dhabi. Camp Hyatt is an exclusive facility for younger guests (5 to 12 years). 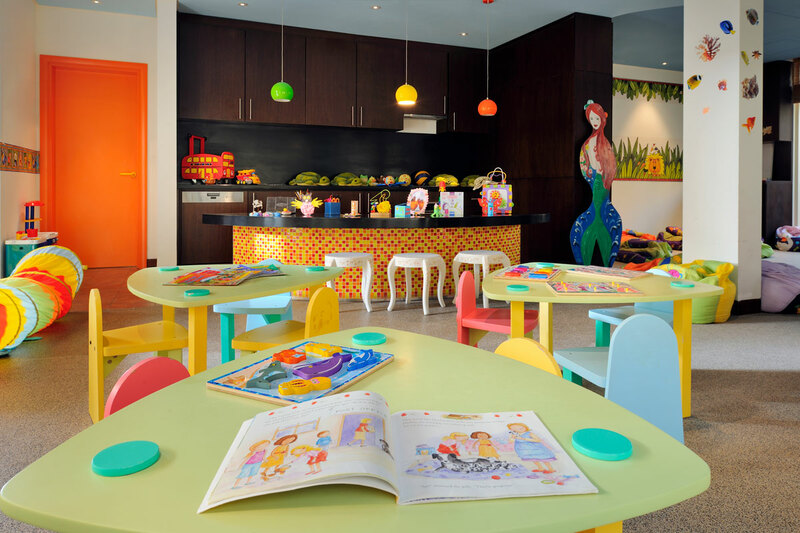 A host of fun and interactive indoor and outdoor recreational activities ensure that children have an unforgettable stay. • Park Room (142)- The room measures approximately 50 m2 and features a spacious and furnished private balcony. 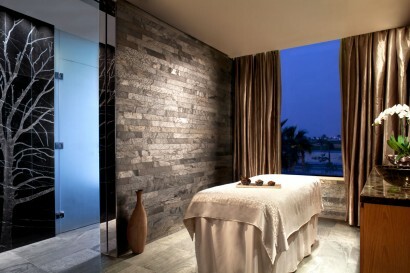 • Sea View Room (121)- The room measures approximately 50m2 and features a furnished private balcony. 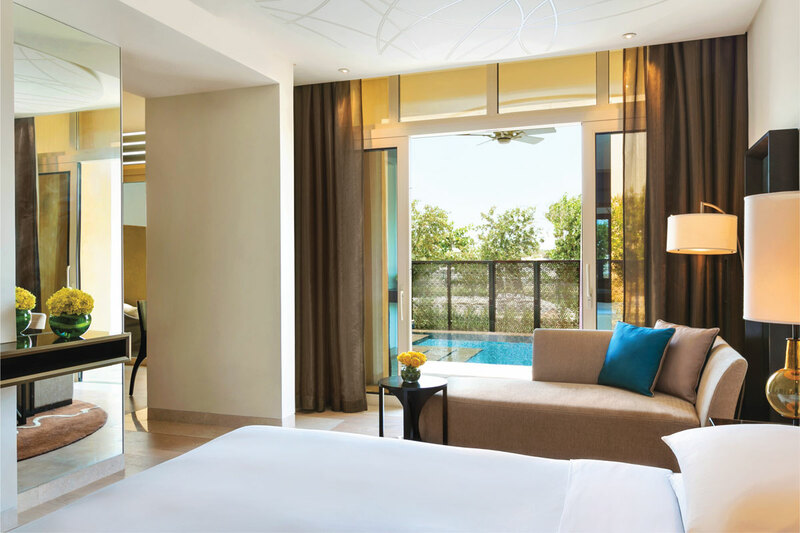 Enjoy stunning views of the Arabian Sea, Saadiyat Beach and the soothing pools of the hotel. • Park Suite (15) This 100m2 suite features a separate bedroom, living room, and two large balconies. • Park Executive Suite (2) This 130m2 features a separate bedroom, living room and two large balconies. 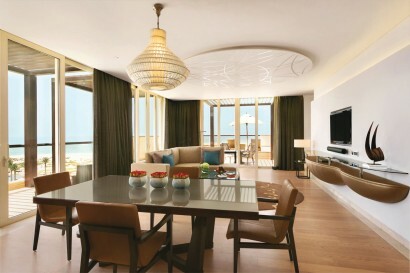 • Park Terrace Suite (2)- This 150 m2 suite features a separate bedroom, living room and a spacious outdoor terrace overlooking the stunning views of the Arabian Sea and Saadiyat Beach. 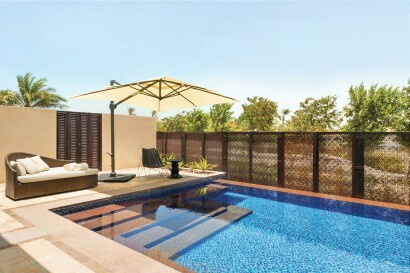 • Garden View Suites (8)- This suite is located within the stand-alone Garden View villas of the hotel and measures approximately 120m2 featuring a separate bedroom, a living room and a large terrace with a private plunge pool. • Beach View Suites (8)-This suite is located within the stand-alone Beach View villas of the hotel and measures approximately 120m2 featuring a separate bedroom, a living room and a large terrace with a private plunge pool. • Prince Suite (3) – This 150 to 170m2 suite features a separate bedroom, living room and two large balconies. 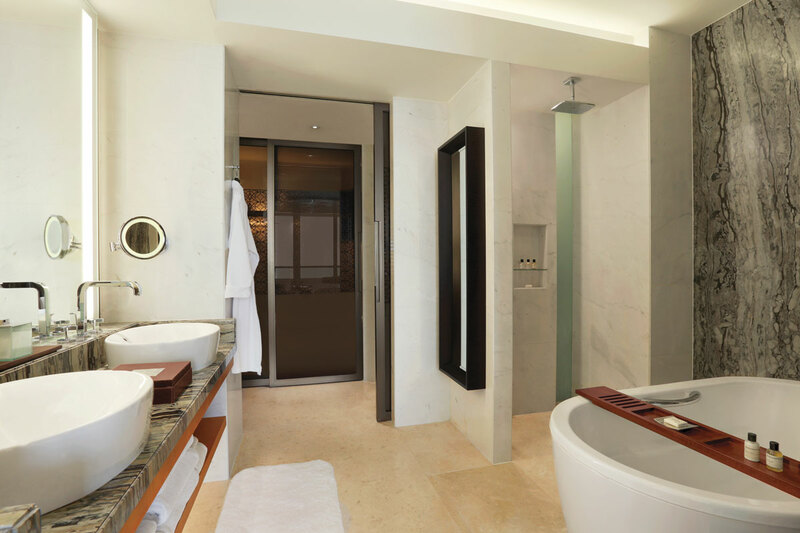 • Presidential Suite (1)- This magnificent and elegant top-floor 275m2 suite features a separate bedroom, a living room and a large balcony with a private plunge pool. Executive Villa (3)- private 200m2 stand-alone Executive Villa on the beach side of the hotel featuring a living room, two bedrooms (one with a king-size bed, the other with two twin beds) and a maid’s room with a separate entrance with attached bathroom. The villa also features a large outdoor terrace with a private plunge pool. 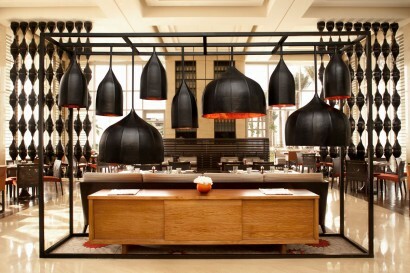 Royal Villa (1) –one-of-a-kind private villa to be found in Park Hyatt Abu Dhabi Hotel and Villas. 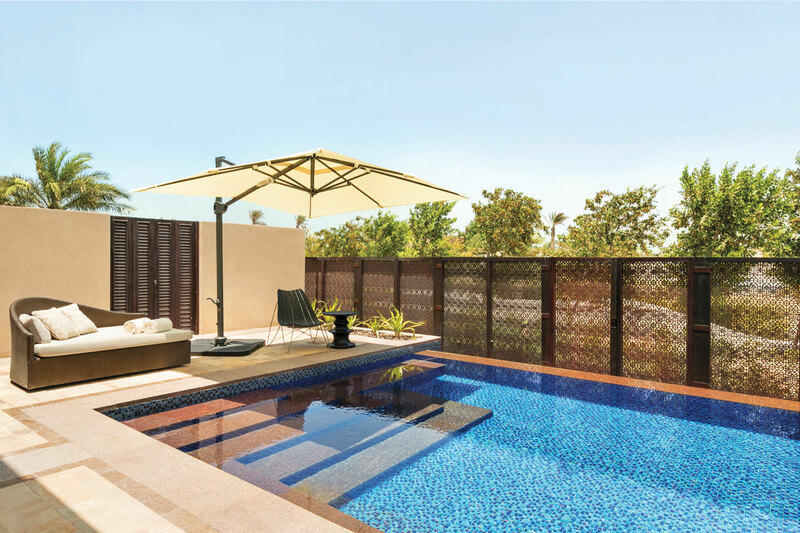 Combining contemporary style with the UAE’s cultural touches, our Royal Villa measures approximately 355m2 and is furnished with a spacious living room, master bedroom, one twin and two king beds and a maid’s room with a separate entrance with attached bathroom. The Royal Villa also features a large outdoor terrace with 2 private plunge pools. The Café – The Café serves authentic Middle Eastern specialties along with a selection of international dishes in a contemporary setting. 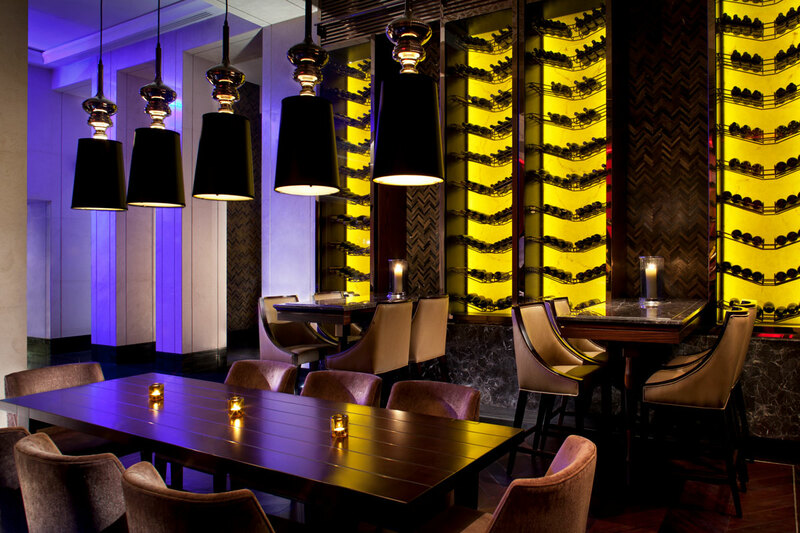 The Park Bar – On the upper level of The Park Grill, guests will enjoy a wide selection of award-winning wines, premium spirits and cocktails. The Park Grill- The Park Bar & Grill serves charcoal-grilled meats and seafood dishes from its large theatre-style kitchen. 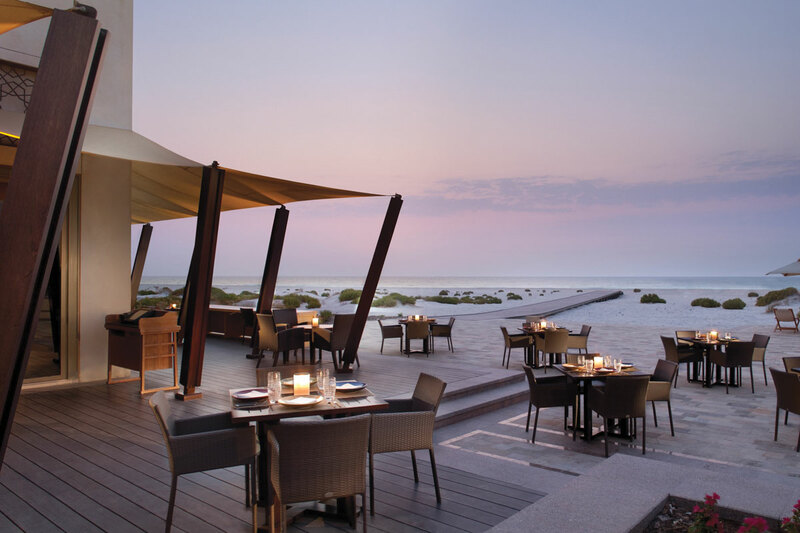 The Beach House- The Beach House serves Mediterranean cuisine along with great views of Saadiyat Beach. 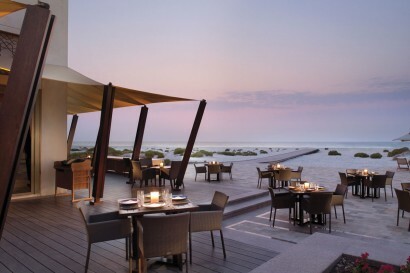 The Beach House Rooftop – Watch the beautiful sunset of Saadiyat Island from the Beach House Rooftop. 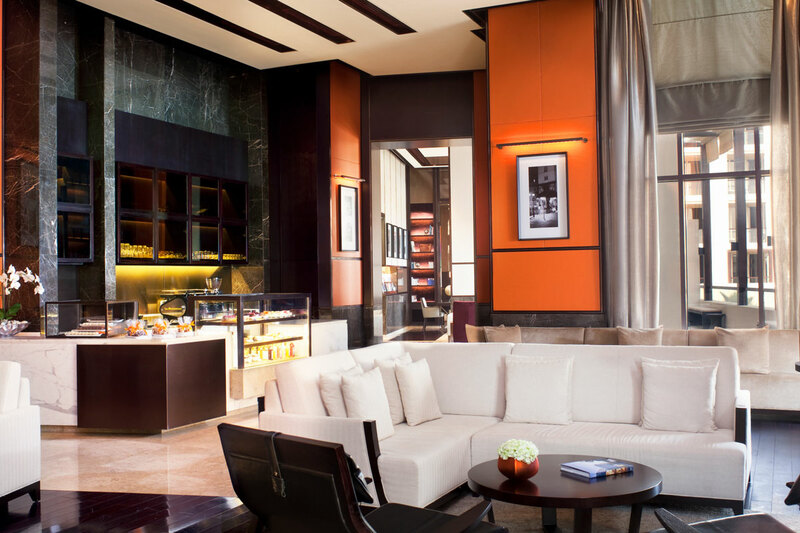 The Library- The Library is a contemporary tea lounge serving selected teas and coffee specialties, as well as home-made chocolates and pastries. 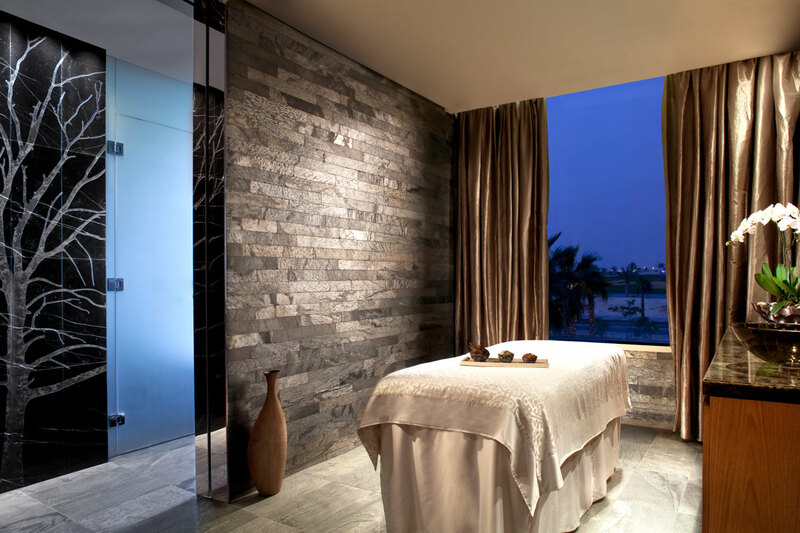 The Atarmia Spa is spread over two levels with separate spa areas for both ladies and gentlemen, as well as an outdoor 20-metre lap pool, a gym and a dedicated stretching studio.